A home generator offers an alternative means to provide electricity to your home. During a power outage, it continues to power your home appliances like refrigerators, lights, even air conditioners - allowing you to not feel like you're "camping" every time the energy grid goes down. Mr. Electric provides both stationary and portable home generators to better serve the individual energy of each home owner. You can also make your generator choice based on the different fuel types each generator runs on, from natural gas to gasoline to liquefied petroleum gas. [youtube=https://www.youtube.com/watch?v=NdL8LUuPndI] Though portable generators are in wide use for both commercial and residential applications, they are not suitable for long-term power backups (beyond 24hrs) because gas pumps may not work during a wide spread blackout. 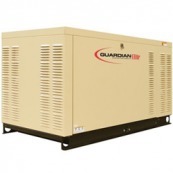 For a long term emergency outage consider standby gensets. A genset utilizes an engine and alternator mounted together and is a good choice as a backup AC power generator for home use. They can provide continuous power because they are hooked up to an external fuel source, such as natural gas line. Some portable devices can also be fueled from an external source and can therefore provide extended run time too. The main differences between them and stationary sources are in their connection and activation. 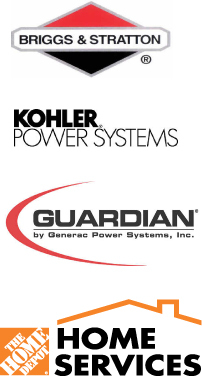 With today’s reliance on computer applications and data storage devices, the role that a standby generator can play becomes more crucial if your livelihood depends on these technologies; a more common reality than in the 20th century. Therefore you will find it a mandatory part of every corporation and thriving business to have such a device in place. At Mr. Electric, we pride ourselves in offering the latest know how on this type of contractor service. We are aware of the impact that the installation of a genset device will make and are familiar with the top ranking manufacturers while keeping in mind your budget along the way. We also have the experience to service and maintain existing generators so that when that power outage eventually occurs you are confident that your backup energy source will function properly. Inquire with us for further consult how a genset can fit your home and business needs. Preparing today will be what gives you security tomorrow! WARNING: Do-It-Yourself (DIY) installations of transfer systems are absolutely discouraged. Any transfer switch, a key component of a proper generator installation, should be always installed by a licensed electrician ONLY. An improperly installed transfer switch is a safety hazard and can also damage your generator when the power is restored. Backfeed from your generator into the utility system could electrocute your neighbors or utility personnel repairing the outage. Use with an UL-listed transfer switch only. NEVER plug your generator into a wall outlet! Be sure to stockpile enough fuel to keep your electricity going during an extended outage. Make sure that all compartments are closed when running. Do not operate the generator if you smell fuel. Always keep the generator turned off and only turn it on when you need it.